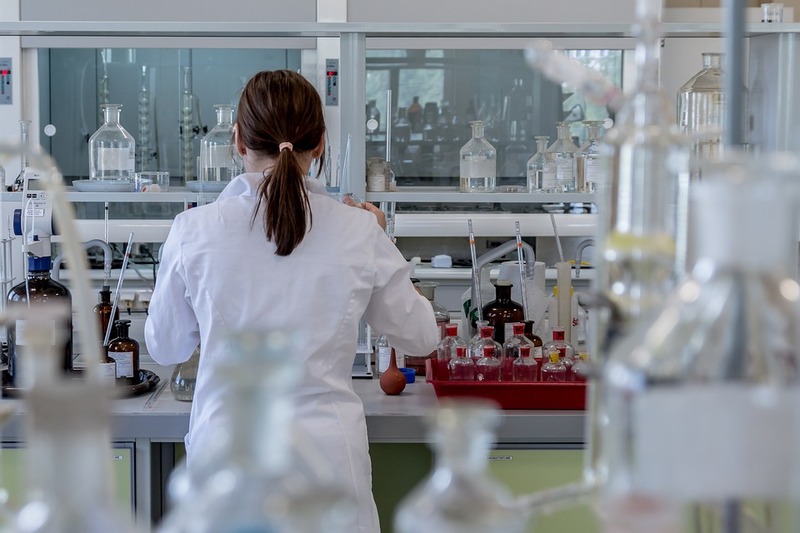 The 'Physical' and 'Biological' classifications in Natural Sciences are very flexible, and students often mix modules from the biological and physical sciences, or change their preferred area entirely. St John's College has a strong history in the Natural Sciences, including among our alumni the double Nobel Prize winning geneticist Frederick Sanger and the physicist Paul Dirac, one of the founders of Quantum Mechanics. We continue these traditions today, with a strong teaching fellowship maintaining broad interests across the sciences. There are at least fifteen Fellows and other teaching staff who are directly involved in supervising Natural Scientists in the College (see 'People'). Recent research by our teaching fellows has been published in the world leading journals Nature and Science. The Natural Sciences course at Cambridge is perhaps unique in the UK in its flexibility and broad scope. Throughout, the emphasis is on developing an understanding of principles so that graduates are well equipped to both understand and contribute to future scientific advances. The broad nature of the course is particularly well suited to modern science, where traditional subject boundaries are being abandoned in favour of cross-disciplinary approaches. The supervision system is integral to teaching at Cambridge, and at St John's you will have regular supervisions, usually in groups of 2-3 students. In the first year you will have 4 supervisions per week, mostly with teaching Fellows from the college. The College also offers considerable additional support, including an excellent library, grants towards the costs of essential books and laptop computers and prizes for academic excellence in Natural Sciences. We are also home to the Larmor Society, the Natural Sciences society of St John's College, named after the eminent alumnus Joseph Larmor. The Larmor Society put on a number of talks spanning all areas of scientific research, and hold a variety of social events throughout the year. Many students spend the summer carrying out research projects in UK or European universities. Students in the Biological Sciences have the opportunity to take part in a research project in the Peruvian Amazon, supported by a sustainable forestry initiative 'Green Gold Forestry'. Two students per year have spent their summer in the rainforest, carrying out a research project aimed at examining the effects of low impact logging on biodiversity and forest growth. Also, students can participate in an exchange program with California Institute of Technology. The first year will involve choosing three (out of a possible eight) basic experimental subjects, plus an appropriate course in Mathematics. This will give you a thorough and broad foundation on which to build your chosen speciality. Second year students choose three subjects, giving them the opportunity to become more specialised in a particular subject, or to retain a broad approach. By the third year you will be specialising in one of seventeen subjects, chosen from a list that runs from Astrophysics to Zoology and includes Biochemistry, Chemistry, Genetics, Pathology, Pharmacology, Physiology, Development and Neuroscience (PDN), Plant Sciences, and Psychology. In all Natural Sciences subjects it is possible to graduate with the BA Degree after three years. Four-year courses leading to the degrees of BA and MSci are available in eight subjects including Biochemistry, History and Philosophy of Science, and Systems Biology, subject to appropriate examination performance. Students who read Natural Sciences during their first one or two years may also complete their degrees in another subject: for example, Chemical Engineering, Mathematics, or Management Studies. Natural Sciences (Biological): at least 2 Science subjects (which may include mathematical subjects). Minimum offer level A*A*A at A2 or equivalent. We take a flexible approach in the subject combinations we accept but whatever the combination it must be one that gives a sufficiently firm scientific foundation for the subjects that you would wish to take in the very broad first-year course. If you are in any doubt about the suitability of your combination of subjects as a preparation for the Natural Sciences Tripos, please contact us well before the deadline for submission of a formal application for advice. We expect to admit about 30 students to read Natural Sciences every year, with approximately half classed as ‘Biological’ and half as ‘Physical’ Sciences. However, these classifications are very flexible, and students often mix modules from the biological and physical sciences, or change their preferred area entirely. In our last round of applications, we made offers to roughly 25% of Biological applicants. Candidates will sit a pre-admission assessment, and those invited for interview will have three interviews. First a tutorial interview followed by two subject interviews by the Director of Studies and other teaching fellows. We conduct our interviews in a friendly and informal manner, and you should not feel too daunted by the prospect of them. No special preparation for the interview is necessary, or indeed desirable. The interview with the Natural Science Fellows will be concerned with subject-related topics, but we do not expect you to have detailed prior knowledge of topics outside of the areas you have covered at school. The interview is not a test of memory, but is concerned with exploring your analytical ability to think through scientific problems. Further details of the process are sent to students selected for interview.